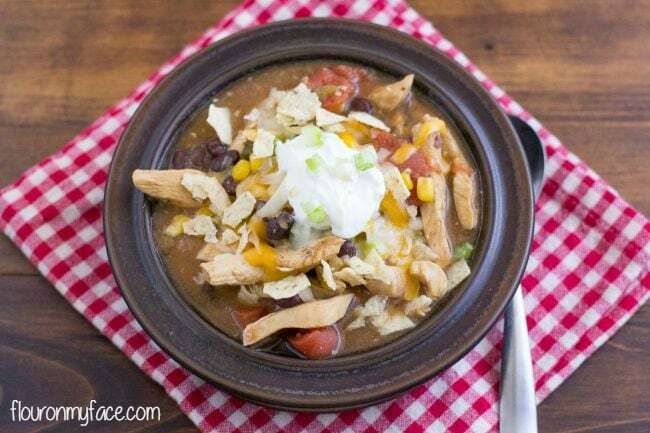 This Crock Pot Chicken Tortilla Soup is a perfect fall crock pot soup recipe. 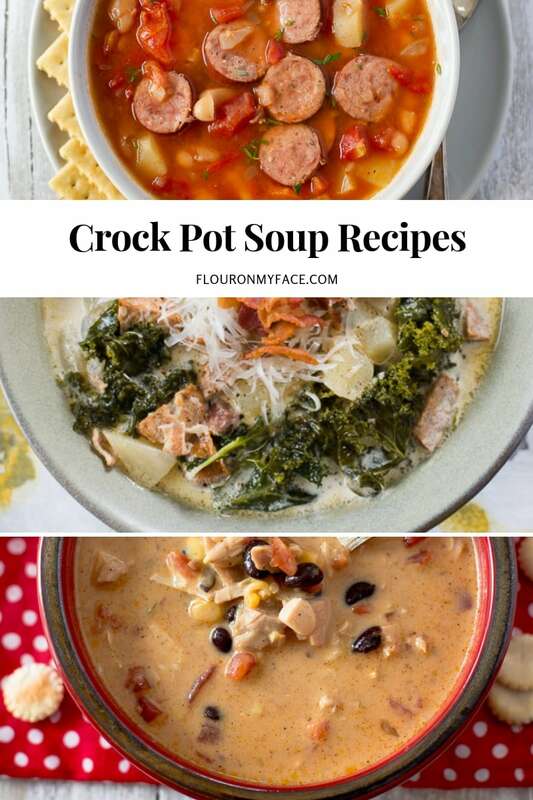 Crock Pot Soup recipes can make fall dinner time so easy. 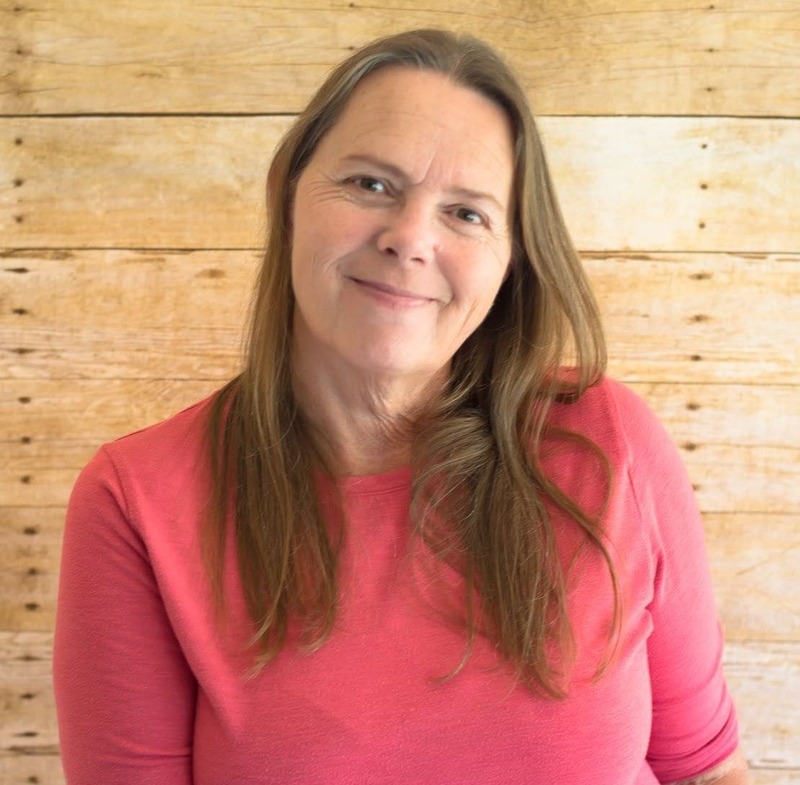 This week has been a busy week for us and I am looking forward to enjoying the weekend. 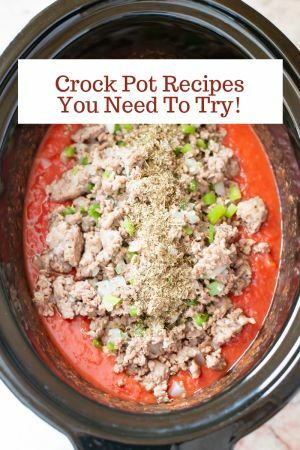 I will be enjoying this crock pot soup recipe for dinner because it has turned out to be one of our favorite crock pot soup recipes of the year. 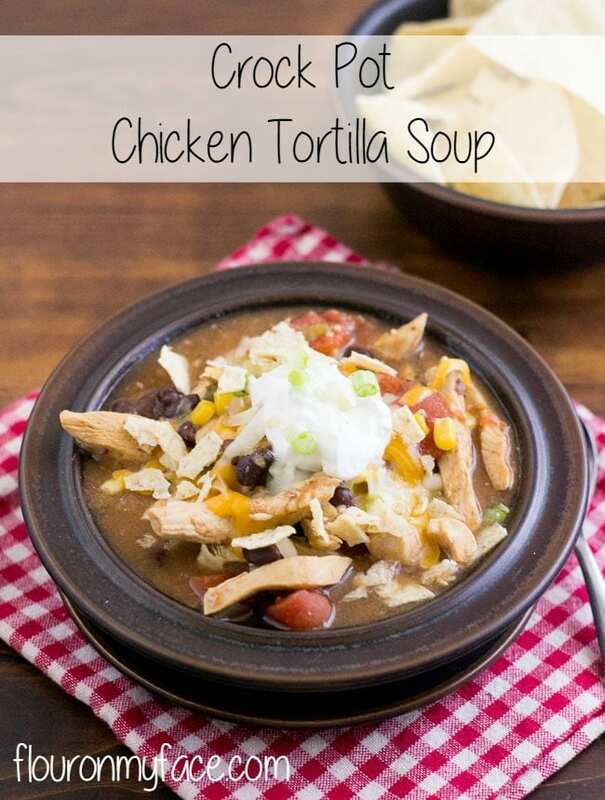 This Crock Pot Chicken Tortilla Soup recipe has all my favorite Mexican flavors. 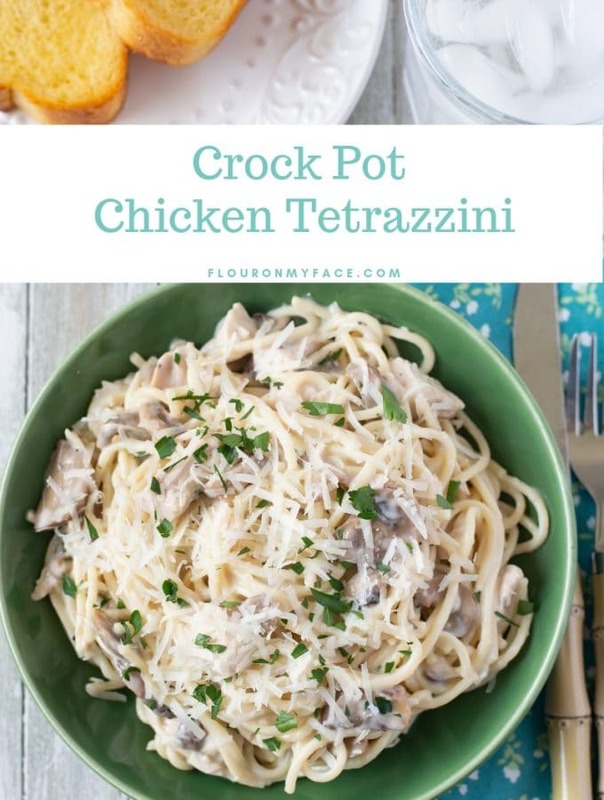 Place the first ten ingredients into a crock pot and cook on high for 2 hours. After two hours add the black beans, cornstarch, and water. 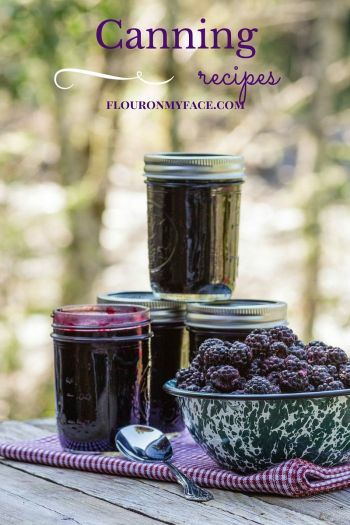 Cook an additional 30-60 minutes or until thickened. 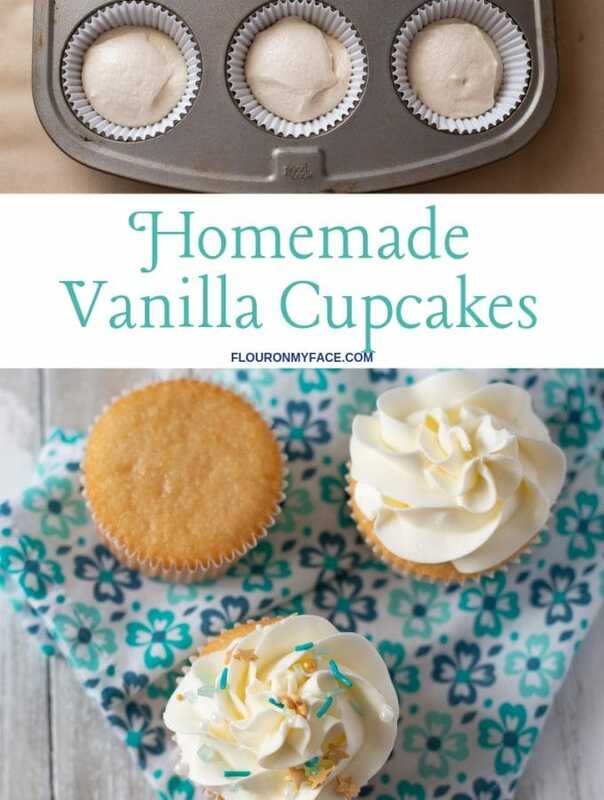 Serve with tortilla chips and top with grated cheese, sour cream, and green onion. 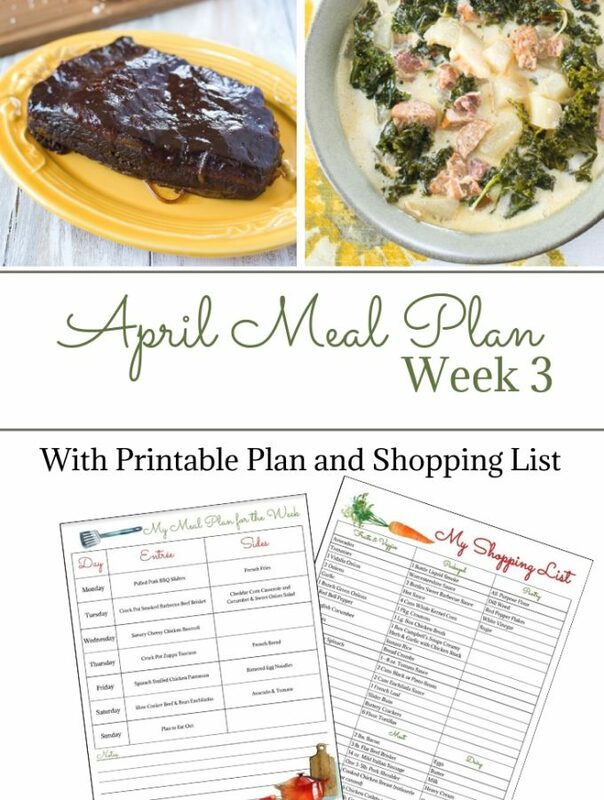 Crock Pot Chicken Tortilla Soup is a great way to enjoy all your favorite Mexican flavors in a chicken soup. 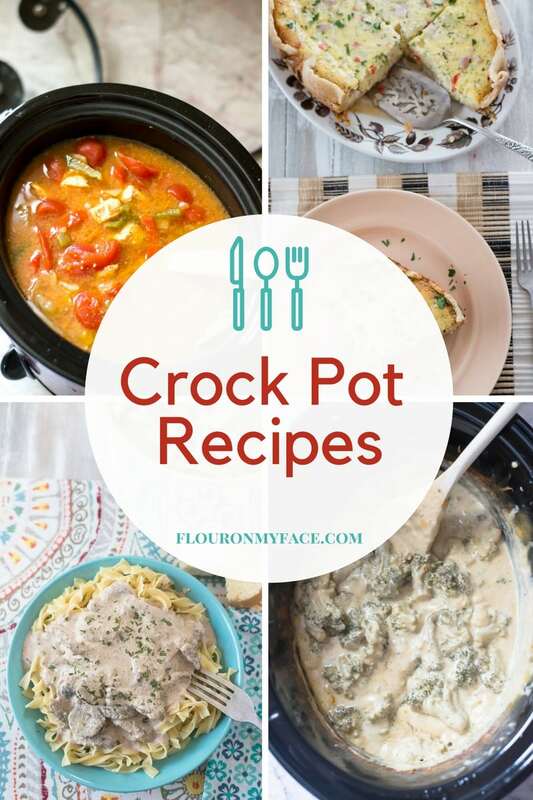 For more easy crock pot recipes for your family check out my crock pot recipe page where you will find over 200 easy crock pot recipes for busy moms.